As long as you accept what comes your way, you will be always at peace with and in Life! Last evening, we were at a pre-wedding reception of a good friend. It was a well-choreographed evening of music and dance. And, of course, drinks and some exquisite gourmet food. As the evening progressed and the Manganiyars from Rajasthan took the audience on a spiritual high with some soul-stirring Sufi music, the bar ran out of wine. What had been on offer was red wine from Australia and California, white wine from Italy, and domestic beer. It appeared that the people managing the bar had wrongly estimated the inventory required for the evening. For some time, there was chaos at the bar counter. But the guests, obviously, given the occasion, did not make this inadvertent aberration a big issue. Soon, the bar started serving some cheap red and white wine and everyone seemed to either be content with the new order or switched to beer. The evening went on and climaxed with some spirited dancing by the guests and a high-octane rendition of “Dama-dam Mast Kalandhar…” and “Nimbooda…Nimbooda…”(Hum Dil De Chuke Sanam, 1999, Sanjay Leela Bhansali) by the Manganiyars. If you observe Life closely, all the suffering around you, or even in you, comes from your wants. In expecting people, situations and things to be different from the way they are, you invite misery to yourself. Obviously the managers at the hotel, where last evening’s reception, was held had goofed up. Or perhaps there was a miscommunication, or a mis-estimation, of the required inventory between the hosts and the hotel’s staff. Now what can be done about it? I am sure some of the people from among the hosts will do a post-mortem and maybe the hotel’s management will review it as well. But what control does a guest, like me, have on the way the bar was managed? I just shrugged my shoulders, picked up some domestic beer, and was lost in the music. This is precisely the way to deal with everything and everyone in Life. You – and I – have no control on what happens to us. There is no point in complicating your Life by demanding that people and events be in a certain way. The fact is that everything is the way it is. What is, is your reality. Your wishing it to be different cannot change the reality, cannot change what is. So, every time your mind agitates, every time you pine for something to be different, remember Epictetus. 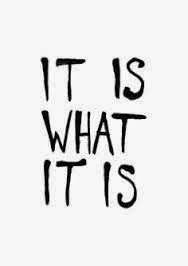 Just accept what comes and let things, people, events and situations, simply be! Happiness and inner peace are intended and assured outcomes!